Those suffering from addiction commonly resort to manipulation as a communication style. They lie, blame others for their problems, and do anything they can to get people to leave them alone so they can continue to use drugs or alcohol. Through manipulation, they can make their addiction seem like your fault. The easiest way to tell whether you are being manipulated by someone is to notice how that person makes you feel. If your interaction leaves you feeling confused, bullied, used, ashamed, or wounded, you have been manipulated. If someone regularly makes you feel badly about yourself, you are the victim of manipulation. 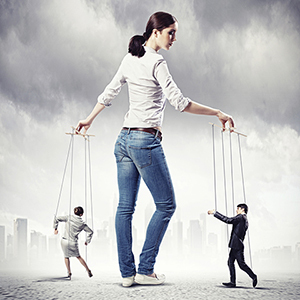 To protect yourself from manipulation, recognize your basic human rights: to be treated with respect, to express your feelings and needs, to set your own priorities, to say ‘no’ without feeling guilty, to protect yourself from physical, mental, or emotional harm, and to create your own healthy and happy life. If you are in the middle of an interaction that feels manipulative, you might try responding to the other person with the following questions (taken from the Psychology Today article listed below). If these questions don’t spark self-awareness, you might need to end the conversation and seek support to better deal with the manipulator. Resources like Al-Anon can put you in touch with other families and friends of addicts. If your loved one is a resident at St. Joseph Institute, you can join our Family Program to gain insight into how to handle manipulation and how to recognize your own manipulative tendencies. Trading manipulation for honest dialogue will promote a healthy family dynamic and better support your loved one’s recovery. “How to Recognize and Handle Manipulative Relationships.” Psychology Today. “How to Recognize the 8 Signs of Emotional Manipulation.” livebold&bloom.